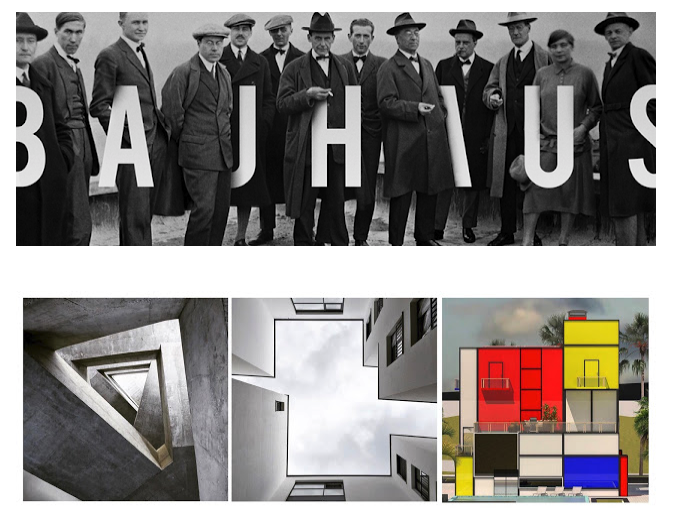 The ‪Bauhaus‬ was the most influential ‪‎modernist‬ ‪art‬ ‪school‬ of the 20th century, one whose approach to teaching, and understanding art’s relationship to society and technology, had a major impact both in ‪Europe‬and the ‎United‬ ‪States‬ long after it closed. It was shaped by the 19th and early 20th centuries trends such as Arts and Crafts movement, which had sought to level the distinction between fine and applied arts, and to reunite creativity and manufacturing. This is reflected in the romantic medievalism of the school’s early years, in which it pictured itself as a kind of medieval crafts guild. But in the mid 1920s the medievalism gave way to a stress on uniting art and industrial design, and it was this which ultimately proved to be its most original and important achievement. The school is also renowned for its faculty, which included artists Wassily ‪‎Kandinsky‬, Josef‪ ‎Albers‬, Laszlo Moholy-‪Nagy‬, Paul ‎Klee‬ and Johannes ‪Itten‬, architects Walter ‪Gropius‬ and Ludwig ‪Mies‬ van der ‪Rohe‬, and designer Marcel‪ Breuer‬.